What are licensed officials at equestrian competitions really thinking? We asked four to share their wisdom on a range of topics: tips for competitors, insights into the challenges of officiating, and more. Danny Robertshaw, Lisa Gorretta, Donna Pettry-Smith, and Cindy Mugnier all graciously agreed to discuss their work in different areas of equine sport. The joy of competing in their respective disciplines, and the desire to give back to those disciplines or their particular breeds, drew them into officiating. They were unanimous in urging competitors to learn about officiating in their disciplines. They know from personal experience how much it helps a competitor improve. Danny Robertshaw has been judging hunter, hunter breeding, and hunter/jumping seat equitation classes for more than 30 years. Lisa Gorretta is a technical delegate in dressage, officiating at both FEI and USEF competitions. 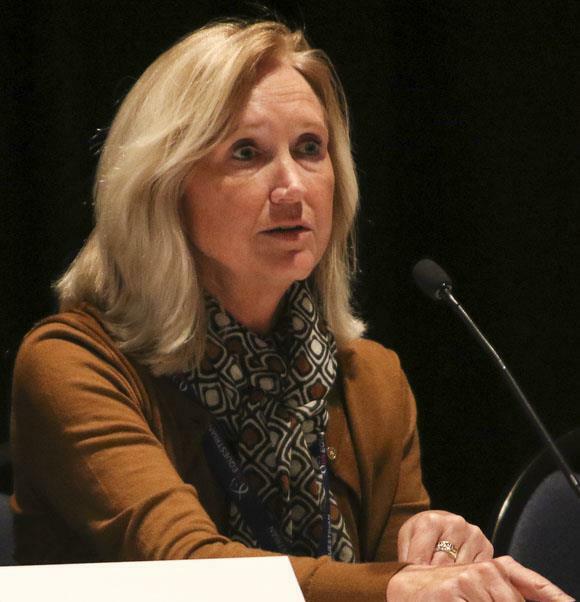 She has been a licensed official for more than 30 years. 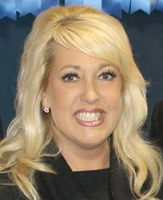 Donna Pettry-Smith has been a licensed judge for more than 15 years. 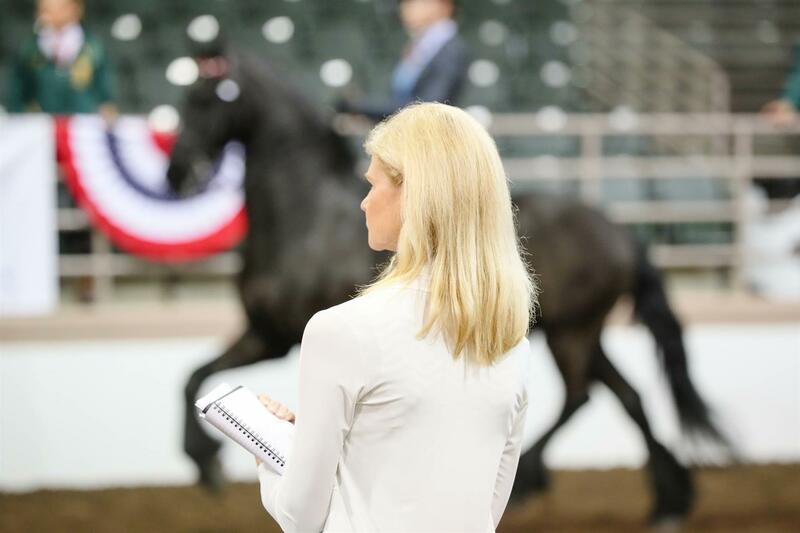 She judges American Saddlebred, Roadster, Hackney, and saddle seat equitation classes. 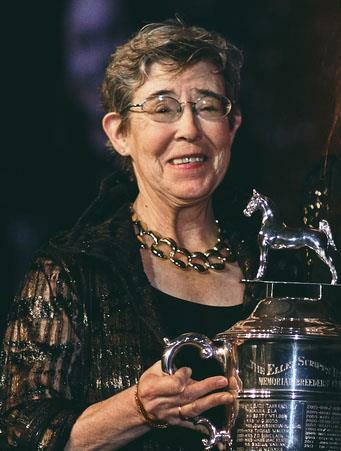 Cindy Mugnier started judging saddle seat equitation and Morgan classes in the early 1990s. Later, she earned her American Saddlebred, Roadster, and Hackney licenses and has judged at these shows. Q: What is more difficult about judging or officiating than competitors and spectators think? Robertshaw: You have to be on top of your game the whole time you are doing it. Sometimes it’s just minuscule differences [between competitors]. Gorretta: Staying focused while staying outwardly approachable in cold, heat, rain. Days can be 10, 12, 14 hours long, so you have to have stamina and be able to multitask. Pettry-Smith: The hardest thing about judging is managing your time, transcribing all of your numbers on a card while running a class, the efficiency of getting [competitors’] numbers quickly and correctly. The second part that’s difficult is that a lot of spectators are not familiar with the specific requirements of different classes. In saddle seat, for example, in amateur classes performance is second to manners. 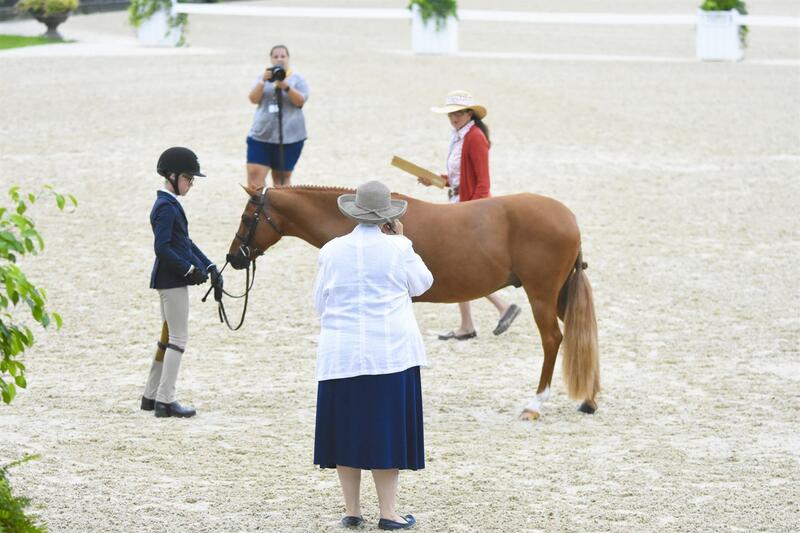 You can have a lively horse that’s exciting to watch, but you have to count that horse down in an amateur class for what would be a plus—showmanship—in other classes. Then the crowd gets upset. But a really good judge goes by the criteria in the order it is listed. Mugnier: How different things look from the center of the ring—the spectators aren’t seeing what the judges see. Spectators don’t pay attention to individual specifications of the different classes. They don’t understand that ladies’ classes are not the same as open or juvenile classes. Q: What do you enjoy about judging or officiating? Robertshaw: Getting to see horses from different areas and going to different areas to see what competitors are into there. Gorretta: I like to be in the background, around the horses and stables, talking to competitors, show officials, and volunteers. After being involved more than 40 years, I still enjoy the sport and I still enjoy the horses. Pettry-Smith: I get to work with the same announcers, ringmasters, and photographers, so we’ve become friends. I enjoy the traveling and working with nice new people, like the volunteers. I like multi-judge panels, getting other judges’ opinions on things—I like to pick people’s brains. I like to see horses in other parts of the country. 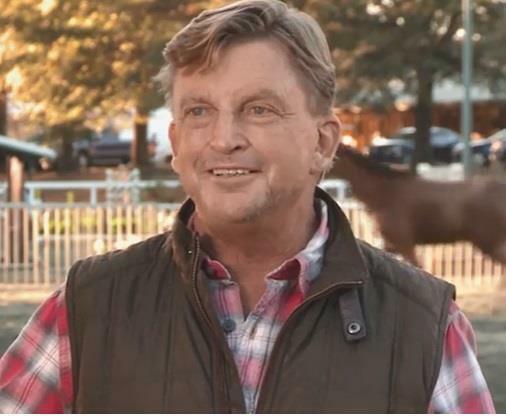 Mugnier: I very much enjoy working with other officials, building camaraderie with fellow judges, and the wonderful combinations of riders and horses that are in the ring today. I see young professional trainers I judged when they rode in their first walk-trot-canter competitions. Q: How can competitors get the most out of participating in a show or competition? Robertshaw: By watching other competitors, standing by schooling rings, and listening to trainers. Kids don’t pay attention to other riders. They’re on their cell phones, not involved [in the show] in the way they used to be. Gorretta: There is an old saying about leaving your best [dressage] test in the warm-up ring. Try not to put so much pressure on yourself that you do not allow your horse to shine or that you don’t enjoy yourself. At some point, sit down and read the rules of your division. Strive for perfection, but don’t try to accomplish it at the outer edge of your horse’s experience or your experience. That’s the most favorable thing you can do for yourself and your horse. Spend time training at higher levels, but go show where you and your horse as partners are comfortable. A horse and rider are two hearts, two bodies, two independent thinkers that have to work together as a team. It’s the rider’s responsibility to see that things go well, not the horse’s. Being an equestrian is a responsibility. That’s what’s so cool about it and what’s so difficult about it. Pettry-Smith: Get your class videotaped and watch it with your trainer. Go into the stands when you’re not competing and watch classes. Watch how people use the ring and watch the horses you notice. You can learn so much from doing this and from watching lessons. In saddle seat in the Midwest, we offer a junior judging program that is not quite [as advanced] as apprentice judging. Riders in the program are allowed to go into the ring, stand with the judges for two classes, and fill out scorecards. This program is for riders aged 18 and under, but we also allow adults to do it. You learn a lot talking to the judges about why they scored the riders as they did. Mugnier: Be prepared. Understand that it’s a horse show and the horse’s performance comes first. It’s never about the rider unless it’s an equitation class. Work on your horsemanship, showmanship, and sportsmanship. Put these three together, and you’ll have a successful time in the ring. Q: What do you wish you could say to competitors before they enter the ring? Robertshaw: This is when you make your first impression—make it a good one! This is a big moment. It shows how much you care about what you’re doing—your demeanor, your attitude. Don’t enter the ring with dirty boots or a dirty horse. Gorretta: Inhale, exhale, and enjoy the ride. I see so many amateurs take one breath before they go into the ring and then don’t breathe again. Our sport is eight minutes long. Pettry-Smith: Use the [entire] ring. Don’t just show off of the rail or down the center. If you’re way off of the rail, a judge can’t always see the horse—you’re too close. And if all the riders start doing the same thing [close together] you really can’t see clearly. Plan it out, get in front or in [a part of] the ring without a lot of competitors. Good riders get by themselves so they can be seen clearly. That shows good thinking. Mugnier: Take control. Make me have to look at you, make me want to look at you. Show me you want to win. Want more articles like this delivered to your inbox every week? Sign up here to receive our free Equestrian Weekly newsletter. This article is original content produced by US Equestrian and may only be shared via social media. It is not to be repurposed or used on any other website aside from USequestrian.org.